Mnuchin told Reuters that the goal is to keep Rusal in business if acceptable solution can be found. In April, Rusal was targeted by the United States with sanctions, alongside other assets of tycoon Oleg Deripaska. Deripaska, the former director of Russia’s Rusal aluminum giant, was blacklisted by the United States alongside several other tycoons for allegedly profiting from the state’s "malign" activities abroad. Deripaska had to step down from the board to shield Rusal and other firms he controlled from financial restrictions. 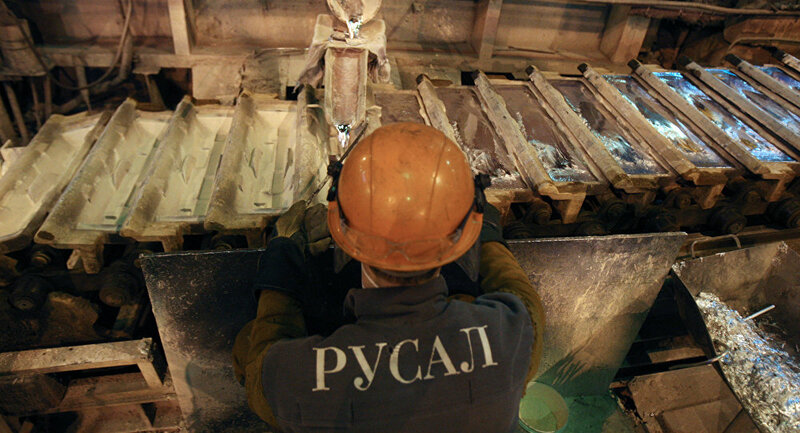 Meanwhile, The US Treasury Department made concessions after the move panicked the aluminum market, allowing US companies to continue doing business with Rusal until October 23 instead of early June. In April, Fitch withdrew all of its ratings for the Russia's Rusal and downgraded its Rating Watch to negative from evolving. The ratings actions came partly in response to sanctions imposed on Rusal by the US Treasury Department's Office of Foreign Assets Control. Moody's also announced that it was withdrawing all ratings of Rusal and its subsidiary Rusal Capital for "business reasons." UN Special Rapporteur on the negative impact of the unilateral coercive measures Idriss Jazairy told Sputnik earlier that the sanctions imposed by Western countries against Russia, hit the EU countries the hardest since they were introduced for political reasons, without conducting necessary studies of their influence on world markets.